Our 10 Favorite and awesome pictures from the 2012 PWA Fuerteventura Grand Slam. Freestyle and Slalom. Complete Gallery after the Jump. Showcasing the starboard team in action at the two PWA Canaries events. 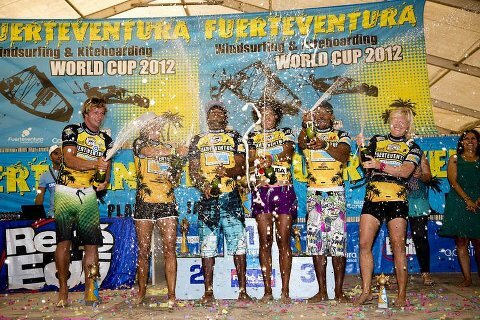 The PWA Fuerteventura wrapped up yesterday as the freestyle double elimination was completed. Winds were questionable at best for a large part of the event, but howling winds returned on the last day, allowing the best freestylers in the world to show off there skills. Jose ‘Gollito’ Estredo (Fanatic / North) had won his second successive event of the year, as he continued his perfect start to the season in his quest for a fifth world championship title. Whilst Sarah-Quita Offringa (Starboard / Gaastra / Mystic / Maui Ultra Fins / Chris Benz) stomped her authority over the women’s fleet by winning the opening female freestyle event of the year in convincing fashion. Daida Moreno goes for a session in Pozo with the Backy Mount. Watch as the racing heated up on Day 3 at the US Windsurfing Nationals presented by the AWT. 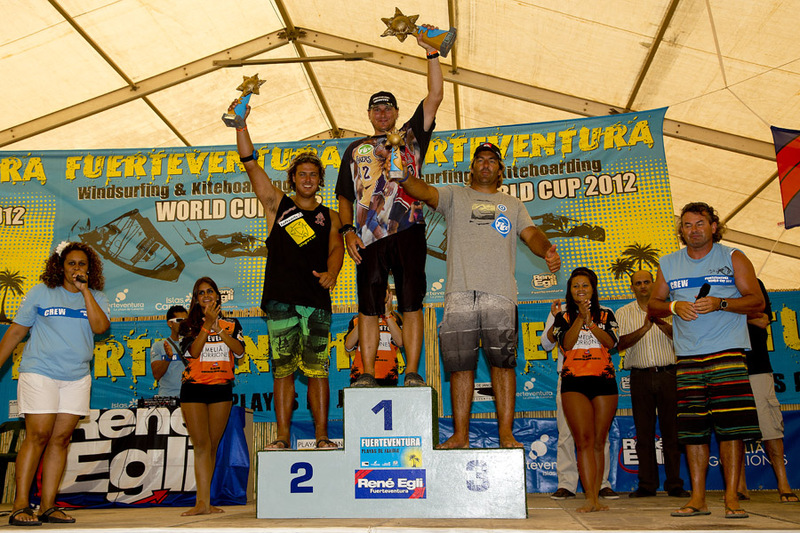 Some footage of the July 2012 PWA World Cup that was held on the Canary Islands in “El Medano”. Fiona & Macrae Wylde-Windsurfing Gurus! It’s the “Wylde Life”…Hood River Oregon style. Tim Becker reports on a father-daughter combo compete at the 2012 U.S. windsurfing nationals in their own back yard in Hood River. Fiona’s a 15 year old firecracker who started riding on the front end of her dad’s boards when she was just a little kid. Kai Lenny is up for the AWSI Windsurfer of the Year Award. The AWSI (Association of Wind & Watersport Industries) is a non-profit association that represents the manufacturers, retailers, and schools in kiteboarding, windsurfing, and stand-up paddle surfing (SUP). Check out his 90 Second submission here. Seen for the first time in competition…. gollito’s air flaka into shaka. Andy McKinney of Wind-NC brings us this clip of lassic summer windsurfing conditions on Cape Hatteras- Southwest winds in the mid 20 mph range and some fun windswell to play with, every afternoon! This video was shot at Ramp 30, just a few miles north of Avon. 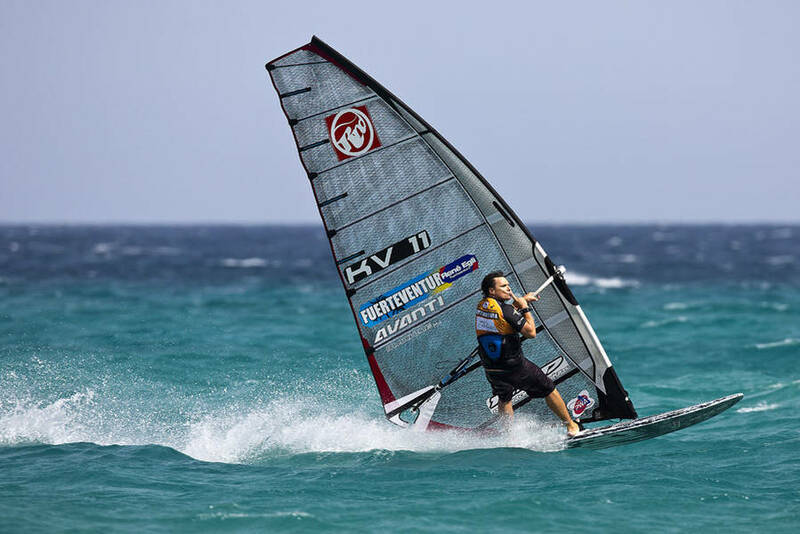 The Starboard freestyle team walks us through the Starboard Flare, and more. Enjoy this nearly 18 minute video, with action and interviews with top Rider like Kiri Thode, and Taty Frans. More 2013 gear! KA Sails teases us with there new for 2013, 4 batten wave sail called the Kryptonite. Designed to be powerfull and lightweight with a soft feel. It’s out of this World!! Formula and Slalom were the call for day 2 of the US Windsurfing Nationals. Read the full story from Day 2 with pictures on the AWT website here. The final day of the slalom looked as though we would see another day of classic Fuerteventura conditions, as the morning started in much the same fashion as yesterday. However after an eleven O’clock start, which allowed three heats to be completed, the wind unexpectedly disappeared. On several occasions the wind did threaten to return but it was never for a prolonged period meaning that the sailors endured a frustrating day on standby with no more heats being completed. Shortly before 4pm the sailors were released for the final time, which means that Finian Maynard (RRD / Avanti) is crowned the King of Fuerteventura after a simply brilliant performance yesterday. Maynard won two eliminations and finished third in the other yesterday to claim his place at the top of the podium ahead of Ben Van Der Steen (Starboard / Loft / Mystic / Different) and Antoine Albeau (RRD / NeilPryde). The event site was still surrounded by a vibrant atmosphere as the crowds poured into the event tent to see the closing ceremony of the men’s slalom, as well as the live music and dancing. Read the full report on the PWA Website Here, with a brief interview with Finian Maynard. The Freestyle portion of the event begins today with the guys scheduled to hit the water first followed by the girls. Check Back here for all the action later. More 2013 gear, the 2nd incarnation of Fanatic’s dedicated Quad range. But either way enjoy the awesome wave action in this Video.